Remember that good ol' saying, "Running doesn't cost anything, just open the front door and go!" Well, that statement is true to a point. It depends on how much you want to pursue running but eventually continuing running will cost something. It is best to be well prepared and as safe as possible and when running often what you are wearing can help you or hurt you. Shoes: Are a must investment. I am all about pinching pennies and all but when it goes to keeping my body healthy and fewer discomforts when I am exercising than I will spend what needs to be spent. 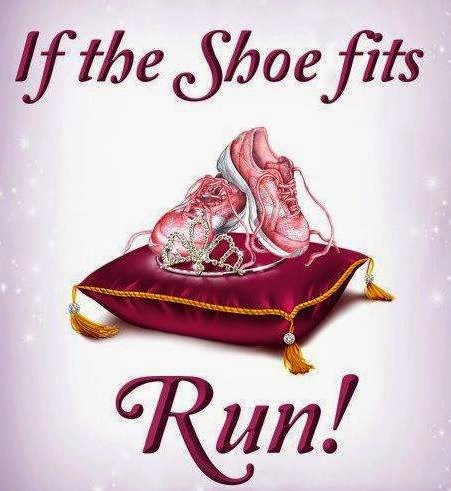 And shoes are the first thing I invest in when running. I can't really say that my running shoes are my most expensive shoe in my closet but they are the most expensive shoe that I wear on a regular basis. (I have gotten my money worth!) Go to an actual running store. Every medium to large city has one. The kind where they actually watch you when you are running or jogging in the shoes that you are trying on. You need the shoe that fits your stride. It makes a difference. It can help you be faster, reduce shin splints, or other aliments that you can get from incorrect shoes support. Apparel: This is the next area where I really try to get the right stuff. Running tops: Make sure that you get the right running tops. I started out exercising in my cotton tanks. I got them from a running store though and wasn't educated on what was the proper top to wear. I bought them originally when I was doing all indoor exercising in an air conditioned facility with a fan blowing on me. I didn't sweat all that much and when I did it was on the way home and time to go. Last summer when I joined the 4 miler training program I wore those tops. (I even raced in them you can see them in my first couple of races the green and yellow tanks.) At the training program they educated us on what not to wear and what to wear. They were right, because of my cotton tank they got saturated in sweat and it was just so hot to wear them. I noticed a HUGE difference when I started to wear teach shirts. Tech shirts wick moisture away from your body and it evaporates so much more easily keeping you cool and dry. They are awesome. One draw back though, they can smell really bad after awhile. When washing follow the label on how to wash. DON'T use fabric softener. 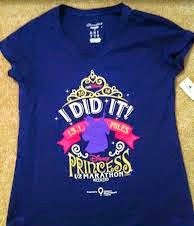 They are more pricy though, check with the local running stores to see if they have any discounted shirts. Sometimes races have extra and might sell them for cheap, cheap just to unload them. So ask around! They are worth the investment though. Bottoms: Make sure again that you have running bottoms. Shorts that have the fit dry capability that keep you dry and cool are great. There are also super sassy and cute running skirts. The skirts have either a brief or shorts under them or you provide your own shorts. One thing that is a must when running especially in briefs is anti-chaffing cream for your inner thighs or anything that rubs a lot when running. Body Glide is my personal favorite. Socks: Socks are the next investment. Again you don't want moisture building up where it shouldn't because you are prone to get more blisters due to the moisture and friction rubbing. 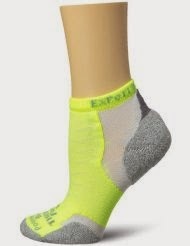 I used the Thorolo Experia Ultra lightweight socks for my 1/2 marathon and the couple of long runs prior to try them out. Accessories: A hat for super sunny days is also good to have. Make sure that the hat has perforations in it thought so that your head doesn't overheat. Or a visor (as 80's as it is) is a great thing to try out too. It keeps the sun out of your eyes and some of your face. I also like to wear a headband to keep all stray hairs out of my face! I HATE IT when I have a hair on my face that is dripping sweat and it won't go away. 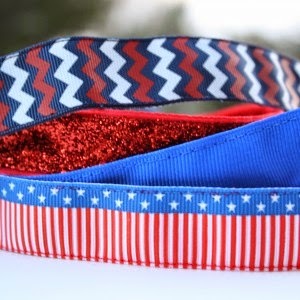 I have tried 3 different non-slip varieties and found that BAMRbands are my fav! I guess I have a funky head shape because all the bands slipped off my head except for the BAMRbands! And Katie, the owner and mastermind, has super cute designs! I am building quite the collection! 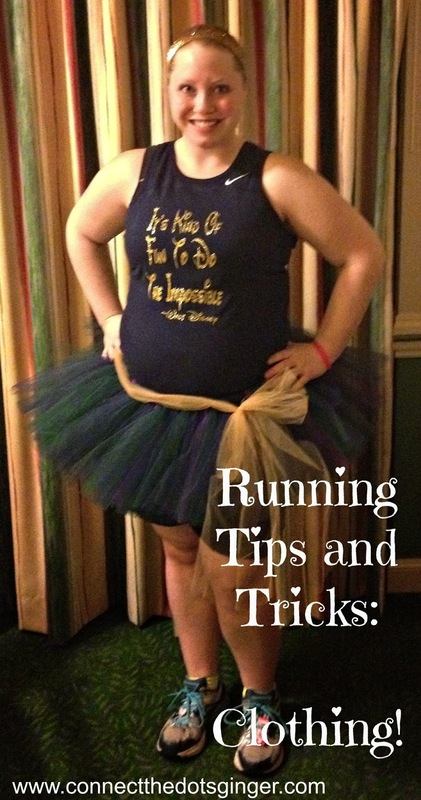 Also tutu's are fun to have BUT you must do a run prior to your first race wearing them. Tutu's can be fun but if it is the wrong length it can become annoying because the tulle will get caught between your legs and rub. Janet my fellow pink lady ended up running a race with her tutu pulled up super high because she kept having to pull it from between her legs. Also try not to get the tutu's with glitter on it because they use glue to adhere that glitter on it and it can run and you will get covered in glitter. But they are fun when you get the right length and get used to them. I feel like I am flying sometimes in mine because it bounces so much! RaceJunkie is where I purchased in the past. Hopefully these tips and tricks help you with your running! QOTD: What are your must haves for running? Fav brands? Let me know in the comments! I FINALLY found the right socks, thanks to Ragged Mtn. Balega hidden comfort. I also have mostly Skirt Sport bottoms; I love the skirts and the leg pockets in the built-in SHORTS, because I always have my phone and keys with me.